Palaces are largely places of relaxation, designed to be architecturally pleasing to the eye of their visitors, decorated with marble and gold, and bring comfort to their inhabitants. These magnificent structures are different from castles. Because castles were made to endure an opponent’s attack and fight battles. Getting into a romantic adventure with your partner takes you out of your everyday work schedule and keeps you stay connected with each other and have fun. Here are a roundup of majestic palaces around the world, home to the royalty of the past (and some of them, the present). Ālī Qāpū is a grand palace in Isfahan, Iran. It is located on the western side of the Naghsh-i Jahan Square opposite to Sheikh lotf allah mosque, and had been originally designed as a vast portal. It is forty-eight meters high and there are seven floors, each accessible by a difficult spiral staircase. In the sixth floor music room, deep circular niches are found in the walls, having not only aesthetic value, but also acoustic. The Bahia Palace is a palace and a set of gardens located in Marrakech, Morocco. It was built in the late 19th century, intended to be the greatest palace of its time. The name means “brilliance”. As in other buildings of the period in other countries, it was intended to capture the essence of the Islamic and Moroccan style. There is a 2 acre garden with rooms opening onto courtyards. 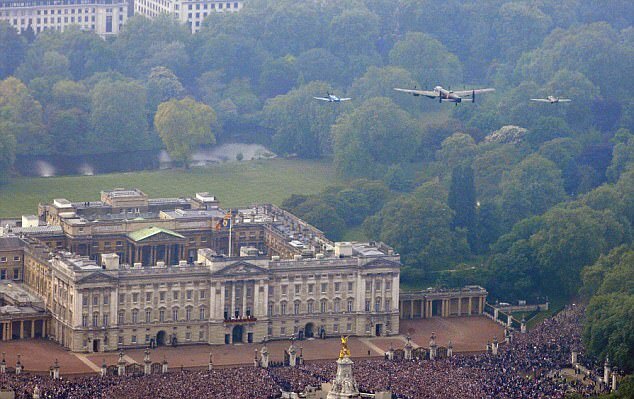 Buckingham Palace is the London home and primary residence of the British monarch. Located in the City of Westminster, the palace is a setting for state occasions and royal hospitality. It has been a focus for the British people at times of national rejoicing and crisis. The royal Château de Chambord at Chambord, Loir-et-Cher, France is one of the most recognizable châteaux in the world because of its very distinct French Renaissance architecture which blends traditional French medieval forms with classical Italian structures. The building, which was never completed, was constructed by King François I in part to be near to his mistress the Comtesse de Thoury, Claude Rohan, wife of Julien de Clermont, a member of a very important family of France, whose domaine, the château de Muides, was adjacent. Her arms figure in the carved decor of the château. Dolmabahçe Palace in Istanbul, Turkey, located on the European side of the Bosporus, served as the main administrative center of the Ottoman Empire from 1856 to 1922, apart from a twenty-two year interval (1887-1909) in which Yıldız Palace was used. Golestān Palace pronounced “Kakheh Golestān” is the former royal Qajar complex in Iran’s capital city. The oldest of the historic monuments in Tehran, the Golestan Palace (also Gulistan Palace) (The Rose Garden Palace) belongs to a group of royal buildings that were once enclosed within the mud-thatched walls of Tehran’s Historic Arg. The Grand Palace is a complex of buildings in Bangkok, Thailand. It served as the official residence of the Kings of Thailand from the 18th century onwards. Construction of the Palace began in 1782, during the reign of King Rama I, when he moved the capital across the river from Thonburi to Bangkok. The Palace has been constantly expanded and many additional structures were added over time. The present King of Thailand, King Bhumibol Adulyadej, however, resides at the Chitralada Palace. Hofburg Palace is a palace located in Vienna, Austria, which has housed some of the most powerful people in Austrian history, including the Habsburg dynasty, rulers of the Austro-Hungarian empire. It currently serves as the official residence of the President of Austria. It was the Habsburgs’ principal winter residence, as the Schönbrunn Palace was their preferred summer residence. The Istana Nurul Iman palace is the official residence of the Sultan of Brunei, Hassanal Bolkiah, and the seat of the Brunei government. The palace is located on a leafy, riverside sprawl of hills on the banks of the Brunei River, a few miles south of Bandar Seri Begawan, Brunei’s capital. The name “Istana Nurul Iman” is taken from Arabic and means Palace of the Light of Faith. It was designed by Filipino architect Leandro V. Locsin, who utilized the architectural motif of golden domes and vaulted roofs to echo Brunei’s Islamic and Malay influences. The interior of the palace was designed by Khuan Chew, Design Principal of KCA International, whose other works include the Burj Al Arab in Dubai. Construction was handled by Ayala International, a Filipino construction firm, and completed in 1984 at a total cost of around $400 million USD. Lake Palace (formerly known as Jag Niwas) is a luxury hotel, of 83 rooms and suites featuring white marble walls, located on a natural foundation of 4 acres (16,000 m2) rock on the Jag Niwas island in Lake Pichola, Udaipur, India. The hotel operates a boat which transports guests to the hotel from a jetty at the City Palace. It has been voted as the most romantic hotel in India. Linderhof Palace is in Germany, near Oberammergau in southwest Bavaria near Ettal Abbey. It is the smallest of the three palaces built by King Ludwig II of Bavaria and the only one which he lived to see completed. The Palace of Mysore is a palace situated in the city of Mysore in southern India. It is the official residence of the Wodeyars – the erstwhile royal family of Mysore, and also houses two durbar halls (ceremonial meeting hall of the royal court). Mysore is commonly described as the City of Palaces, however, the term “Mysore Palace” specifically refers to one within the old fort. The Wodeyar kings first built a palace in Mysore in the 14th century, it was demolished and constructed multiple times. The current palace construction was commissioned in 1897, and it was completed in 1912 and expanded later around 1940. The Palace of Versailles or simply Versailles, is a royal château in Versailles, the Île-de-France region of France. In French, it is known as the Château de Versailles. The Royal Palace of Aranjuez is a residence of the King of Spain, located in the town of Aranjuez, Community of Madrid, Spain. The palace is open to the public as one of the Spanish royal sites. It was commissioned by Philip II and designed by Juan Bautista de Toledo and Juan de Herrera, who also designed El Escorial. It was completed during the reign of Ferdinand VI by the mid-18th century; Charles III had two wings added to it. The National Palace, or Palacio Nacional in Spanish, was the seat of the federal executive in Mexico. It is located on Mexico City’s main square, the Plaza de la Constitución (El Zócalo). This site has been a palace for the ruling class of Mexico since the Aztec empire, and much of the current palace’s building materials are from the original one that belonged to Moctezuma II. The Pena National Palace is a Romanticist palace in São Pedro de Penaferrim, municipality of Sintra, Portugal. The palace stands on the top of a hill above the town of Sintra, and on a clear day it can be easily seen from Lisbon and much of its metropolitan area. It is a national monument and constitutes one of the major expressions of 19th century Romanticism in the world. The palace is a UNESCO World Heritage Site and one of the Seven Wonders of Portugal. It is also used for state occasions by the President of the Portuguese Republic and other government officials. The Peterhof Palace is actually a series of palaces and gardens located in Saint Petersburg, Russia, laid out on the orders of Peter the Great. These Palaces and gardens are sometimes referred as the “Russian Versailles”. Schönbrunn Palace is a former imperial 1,400-room Rococo summer residence in Vienna, Austria. One of the most important cultural monuments in the country, since the 1960s it has been one of the major tourist attractions in Vienna. The palace and gardens illustrate the tastes, interests, and aspirations of successive Habsburg monarchs. The Summer Palace is a palace in Beijing, China. The Summer Palace is mainly dominated by Longevity Hill (60 meters high) and the Kunming Lake. It covers an expanse of 2.9 square kilometers, three quarters of which is water. The central Kunming Lake covering 2.2 square kilometers was entirely man made and the excavated soil was used to build Longevity Hill. In the Summer Palace, one finds a variety of palaces, gardens, and other classical-style architectural structures. The Forbidden City was the Chinese imperial palace from the Ming Dynasty to the end of the Qing Dynasty. It is located in the middle of Beijing, China, and now houses the Palace Museum. For almost five hundred years, it served as the home of emperors and their households, as well as the ceremonial and political center of Chinese government. Built in 1406 to 1420, the complex consists of 980 buildings with 8,707 bays of rooms and covers 720,000 m2 (7,800,000 sq ft). The palace complex exemplifies traditional Chinese palatial architecture, and has influenced cultural and architectural developments in East Asia and elsewhere. The Forbidden City was declared a World Heritage Site in 1987, and is listed by UNESCO as the largest collection of preserved ancient wooden structures in the world. The Topkapı Palace is a palace in Istanbul, Turkey, which was the official and primary residence in the city of the Ottoman Sultans for approximately 400 years (1465-1856) of their 624-year reign. The palace was a setting for state occasions and royal entertainments and is a major tourist attraction today, containing the most holy relics of the Muslim world such as the Prophet Muhammed’s cloak and sword. Umaid Bhawan Palace, located at Jodhpur in Rajasthan, India, is one of the world’s largest private residences. A part of the palace is managed by Taj Hotels. Named after Maharaja Umaid Singh, grandfather of the present owners of the palace, this monument has 347 rooms and serves as the principal residence of the erstwhile Jodhpur royal family. Umaid Bhawan Palace was called Chittar Palace during its construction due to its location on Chittar Hill, the highest point in Jodhpur. Ground for the foundations of the building was broken on 18 November 1929 by Maharaja Umaid Singh and the construction work was completed in 1943. The Zwinger is a palace in Dresden and a major landmark of German baroque architecture. The location was formerly part of the Dresden fortress of which the outer wall is conserved. The name derives from the German word Zwinger (outer ward of a concentric castle); it was for the cannons that were placed between the outer wall and the major wall. The Zwinger was not enclosed until the neoclassical building by Gottfried Semper called the Semper wing was built to host the Gemäldegalerie Alte Meister art gallery.